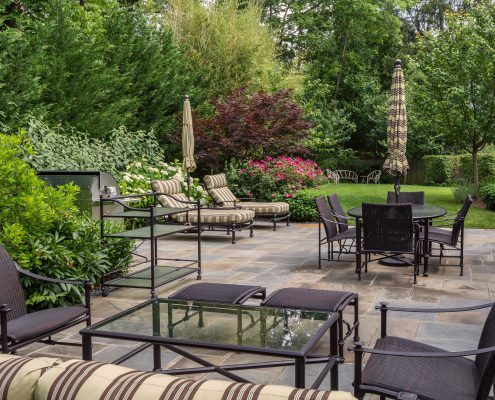 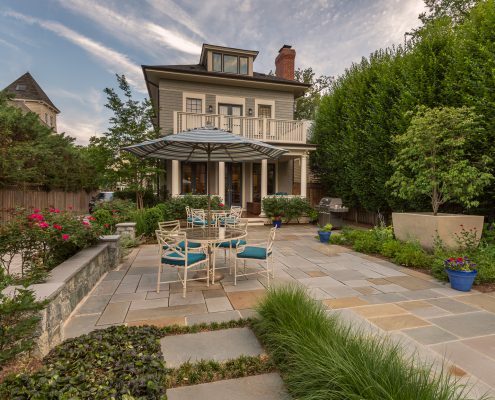 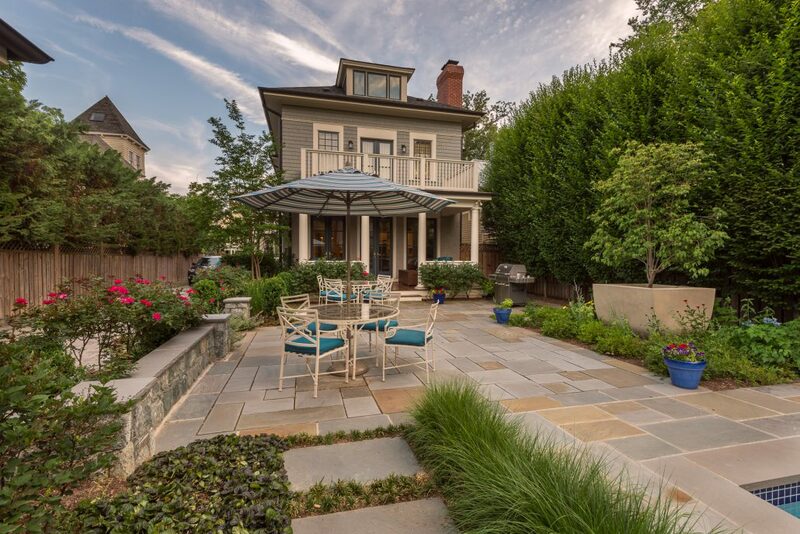 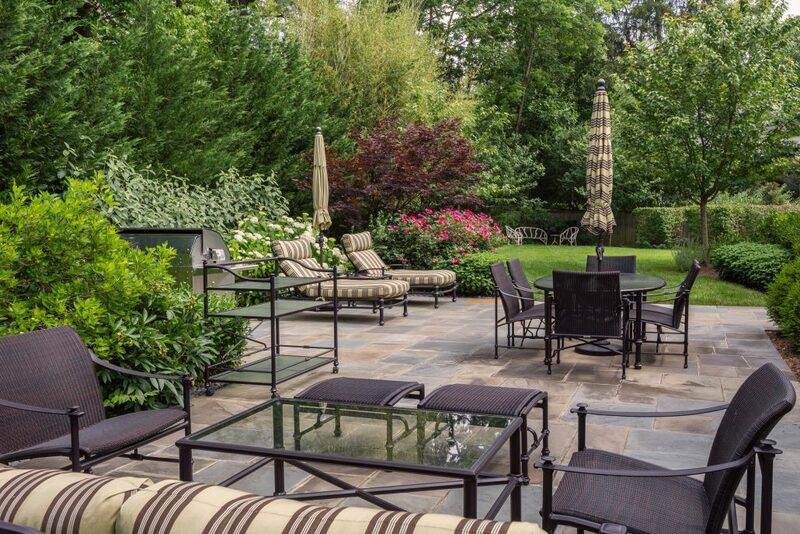 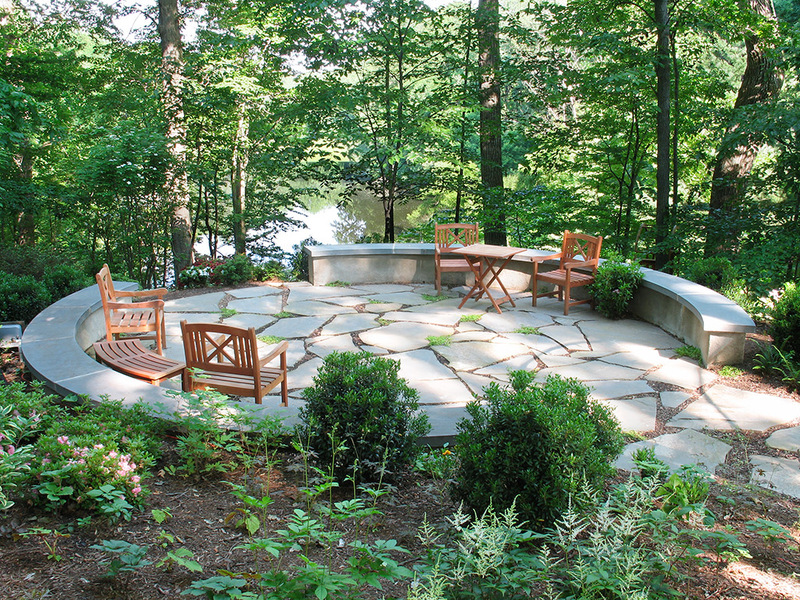 Patios come in many shapes and sizes. 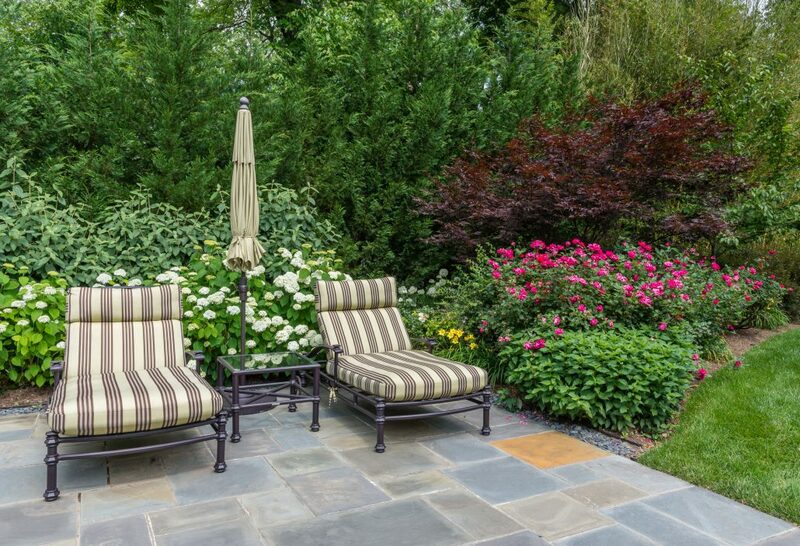 There are lots of materials to choose from whether you want a formal or more natural look. 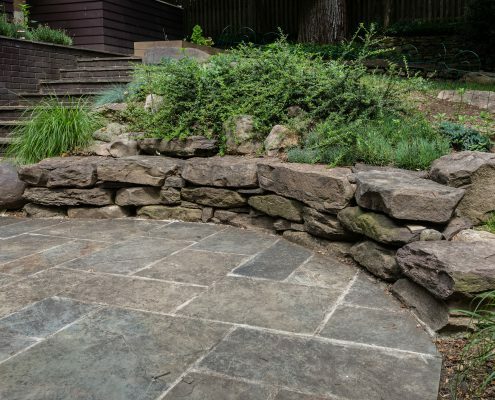 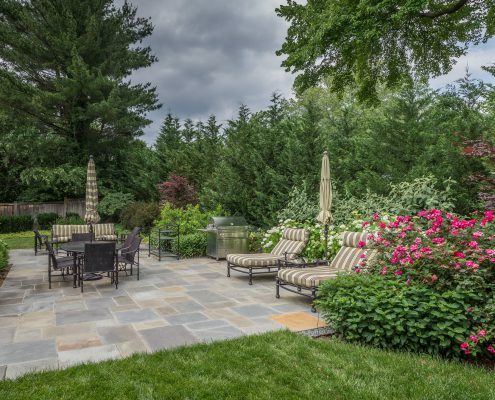 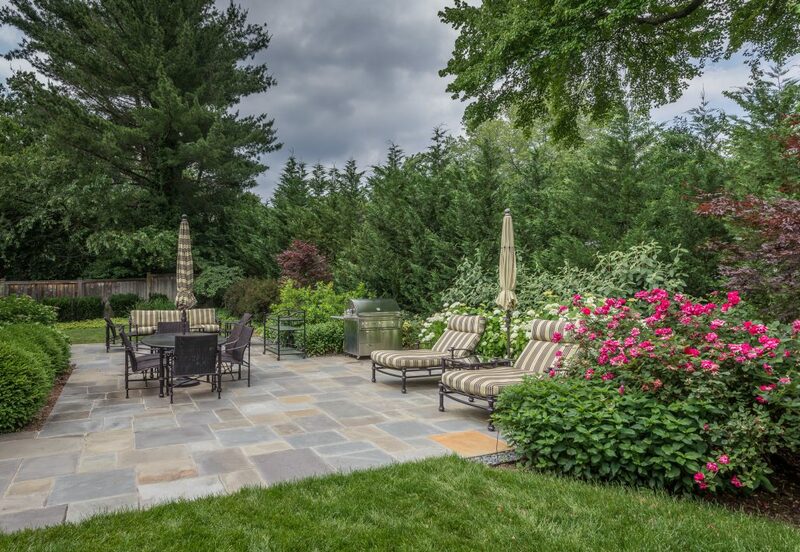 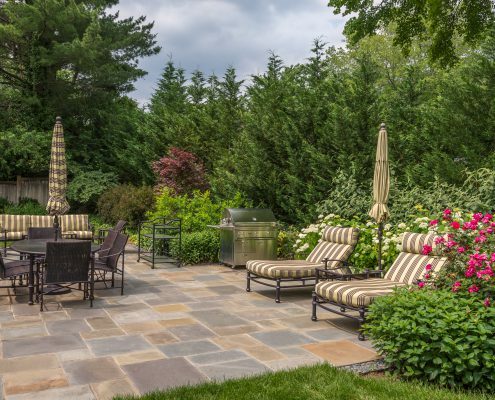 Flagstone is a versatile stone that can be set on concrete or stone dust; it can be set in a random rectangular pattern, or it can take the form of irregular stones for a more informal look. 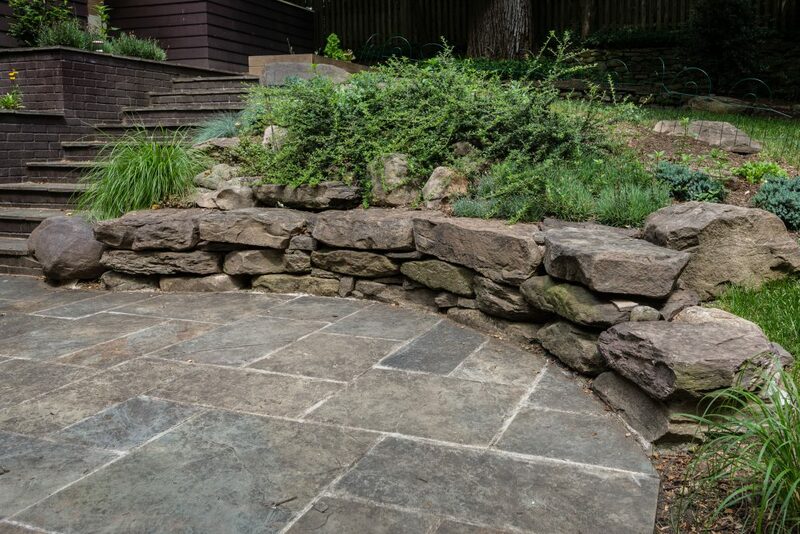 Flagstone looks great with stone retaining walls. 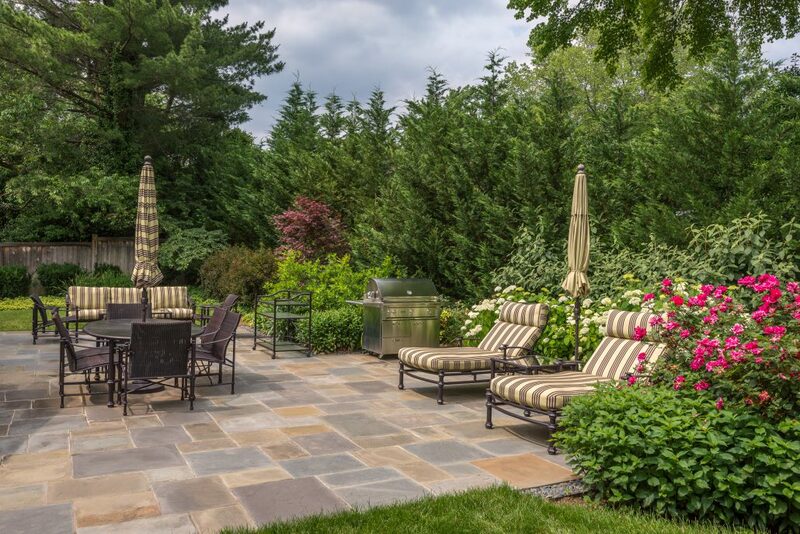 Brick can be used alone or in combination with flagstone. 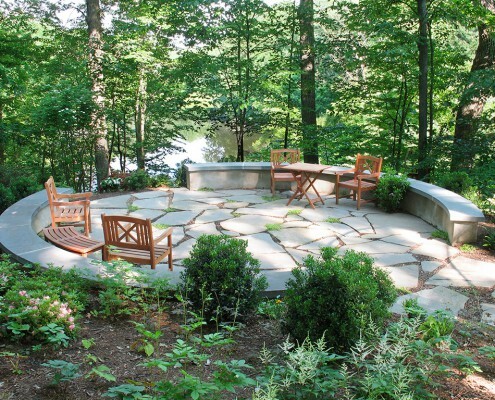 Pervious paving solutions are also popular now as people look for ways to absorb and direct water on site.